This ink sample came from a friend, who was wise to purchase a bottle, when they were readily available! While a bit too light for my daily writing, I have enjoyed using this for letter-writing and accenting my note-taking. Update, April 9, 2014: Unfortunately, I learned that this ink is in fact not the Montblanc Ink of Friendship. Rather, it is simply the no-longer-produced Montblanc Turquoise. 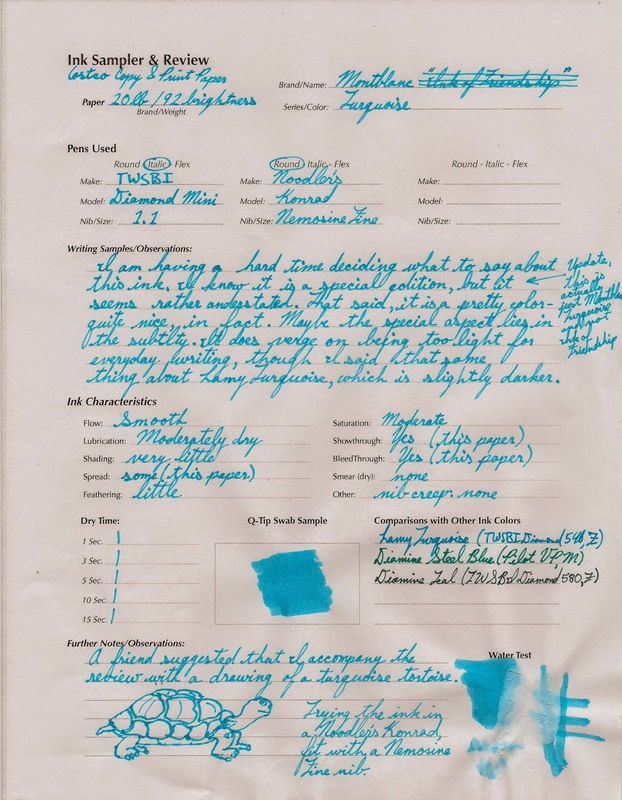 I am still thrilled to have gotten the opportunity to try this ink, and I have updated the review sheet, accordingly.